French Far-Right Leader Charged Over Islamic State Tweets - Integration Through Media ....! 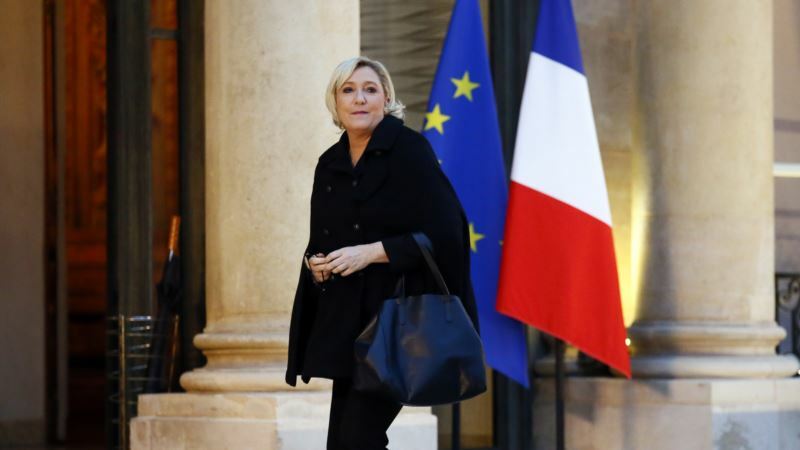 (VOA): French far-right leader Marine Le Pen has been charged for tweeting brutal images of Islamic State violence. The move by a court in the Paris suburb of Nanterre comes after the National Assembly voted in November to strip the National Front chief of her parliamentary immunity over the three photos posted on Twitter in 2015. “Daesh is THIS!” she declared in a series of now-deleted tweets (using an Arabic acronym for IS), which showed uncensored IS killings, including that of American journalist James Foley, who was captured in Syria in 2012 and beheaded in August 2014. The tweets were posted in response to a French journalist who drew comparisons between her National Front party and the extremist group. Le Pen, who became a face of the populist wave in France amid a series of radical Islamist attacks, tweeted the gruesome pictures just weeks after the Paris terror attacks that left 130 people dead. Her tweets caused outrage across France. Then-Prime Minister Manuel Valls called the posts “monstrous.” But Le Pen fought back. Le Pen and her party have faced charges before. In 2015, she was charged with “incitement to discrimination over people’s religious beliefs,” after she compared Muslims praying in public to Nazi occupation of France during World War II. Those charges were eventually dropped. Le Pen’s French-first, Islam-skeptic nationalism resonated widely in the wake of U.S. President Donald Trump’s election and Britain’s vote to leave the European Union.